Get a taste of spring at Plantasia: Backyard Oasis. 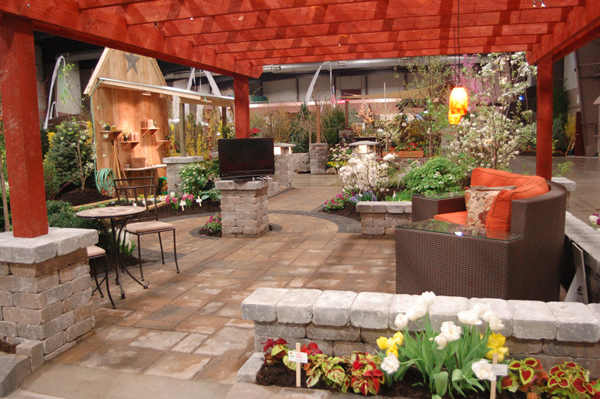 This is Western New York’s premier garden and landscape show and is presented by the Western New York State Nursery & Landscape Association. The show will be held from 10 a.m. to 9 p.m. Thursday through Saturday, March 21 to 23, and from 10 a.m. to 5 p.m. Sunday, March 24 at the the Fairgrounds Event Center and Expo Hall, 5820 South Park Avenue, Hamburg. Tickets are $9 general admission or $8 with the coupon. A preview night sponsored by Buffalo Spree and Lockwood’s Greenhouses will be held from 5:30 to 8:30 p.m. Wednesday, March 20. Tickets are $15 pre-sale, $20 the day of event, and free for children under 10. 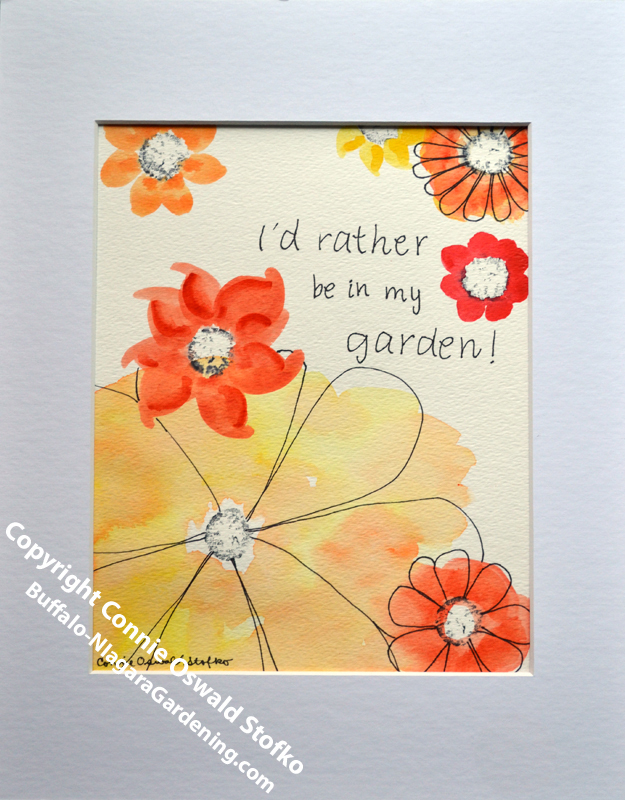 I’ll be there at the Buffalo-NiagaraGardening.com booth, so stop by to say hello. Something new I’ll be doing this year is offering a few original artworks for sale. You can see an example below. I’ll also give a presentation on “45 Gardening Tips in 45 Minutes” at 2 p.m. Friday, March 22. There’s so much to see and do that you might want to plan out your visit. Looks to be a great event. It is a fun event and there’s lots to do. You can visit the vendors to see what cool tools and gadgets they have, what services they offer and what they have new for this year. Plus the talks and demonstrations are enjoyable, too. Love your art work, Connie. Thanks, Linda. It will be interesting to see if there’s a market for it. I’m sure ther is. My family knows to look for me in the yard! Thanks for the encouragement, Eileen! You mention a dollar off coupon. Where can I find it? Love all of y our work on the emails.